quite a bit of progress on the front project whilst I was in Guatemala. 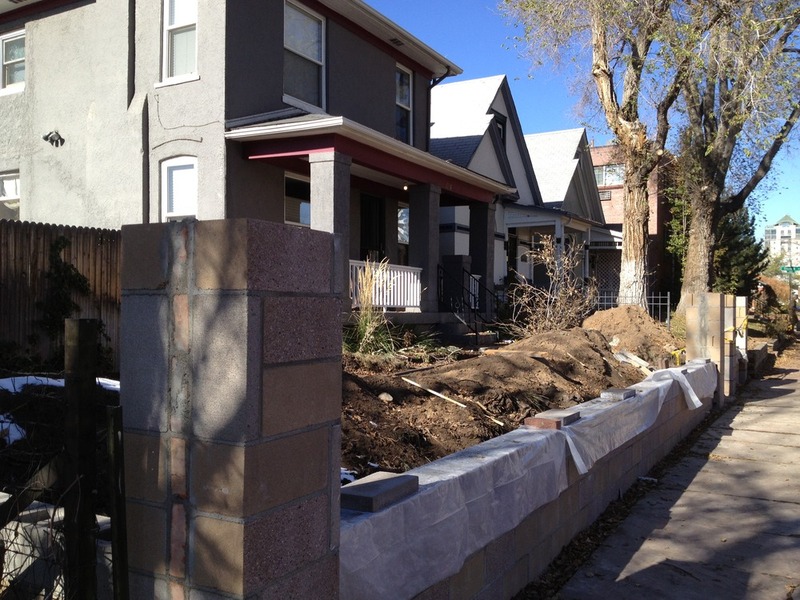 during that time, a trench was dug along the sidewalk edge, as well as back 90 degrees towards the house (where the steps and walkway will be). In the trench, a concrete footer was poured, which is now the foundation of the wall. 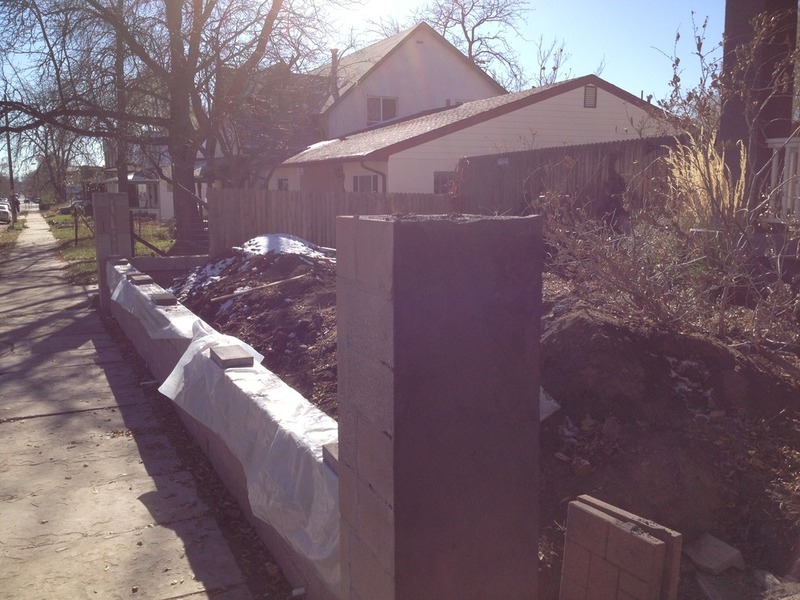 we now have concrete block wall and columns. 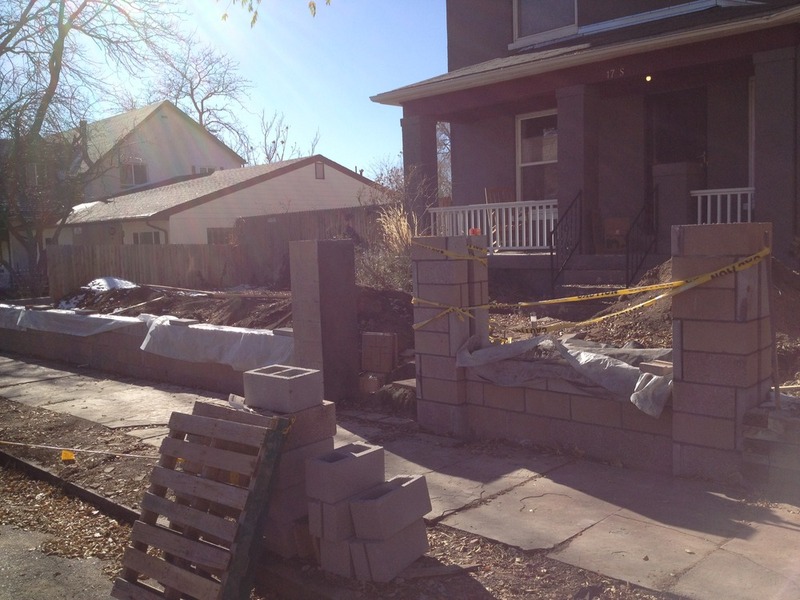 tomorrow some stucco work and final concrete block wall on the walkway entrance.